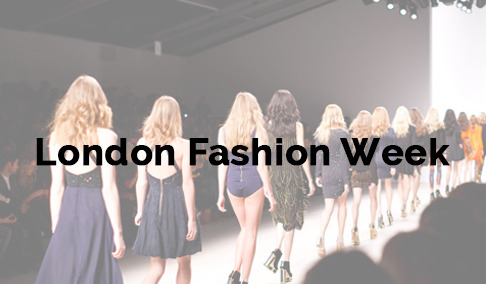 The 68th edition of London Fashion Week commences tomorrow and is going completely fur-free. Featuring over 80 designer names on the official catwalk and presentation schedule and over 100 brands showcasing in the Designer Showrooms, the full on and off schedule, featuring catwalk shows, presentations, appointments, pop-ups and parties can be viewed in DIARY dates. Burberry will present their first and much anticipated collection under Riccardo Tisci, new Chief Creative Officer on Monday while we welcome Victoria Beckham who brings her show to the London schedule for the first time to celebrate a decade in business. ALEXACHUNG will stage a catwalk to present her new collection while Jenny Packham returns to London to celebrate her brand’s 30th anniversary. Furthermore, MM6 Maison Margiela and Nicholas Kirkwood will both present full runway collections for the first time as part of LFW. Molly Goddard, recipient of the 2018 BFC/Vogue Designer Fashion Fund will show on Saturday afternoon, followed by two-time winner at The Fashion Awards 2017 in partnership with Swarovski, Jonathan Anderson who will present a co-ed show for his eponymous label JW Anderson. On Saturday evening, Mary Katrantzou will celebrate her brand’s 10th anniversary with a catwalk show while internationally acclaimed brands Anya Hindmarch, Delpozo, Johnstons of Elgin and Ports 1961 will return to the LFW schedule. The NEWGEN 2018 line-up, the internationally celebrated BFC talent identification scheme includes Richard Malone, Matty Bovan, Halpern, Supriya Lele and Paula Knorr. Richard Quinn, recipient of the inaugural Queen Elizabeth Award for Design, will close London Fashion Week on Tuesday. The NEWGEN Accessories designers Alighieri, Isosceles and The Season Hats will all have a dedicated space in the Designer Showrooms with individual activations. Other internationally celebrated designers including Alice Archer, Amanda Wakeley, Ashley Williams, Ashish, Aspinal of London, Bobby Abley, Bora Aksu, CHALAYAN, Christopher Kane, DAVID KOMA, Edeline Lee, Emilia Wickstead, ERDEM, Eudon Choi, Faustine Steinmetz, Fashion East, FYODOR GOLAN, Gareth Pugh, Gayeon Lee, House of Holland, Huishan Zhang, Isa Arfen, J. JS Lee, Jamie Wei Huang, Jasper Conran, JULIEN MACDONALD, Malene Oddershede Bach, Margaret Howell, Markus Lupfer, Marta Jakubowski, minki, Mother of Pearl, Mulberry, NABIL NAYAL, Natasha Zinko, Nicopanda, OSMAN, Pam Hogg, palmer//harding, Paul Costelloe, Peter Pilotto, Preen by Thornton Bregazzi, Pringle of Scotland, pushBUTTON, REJINA PYO, Roberta Einer, Roksanda, Roland Mouret, Ryan LO, Sadie Williams, Simone Rocha, steventai and Teatum Jones, Temperley London, TOGA, Xiao Li, XU ZHI and Zandra Rhodes will be on schedule to showcase their latest collections. Other new additions to the schedule include Gayeon Lee, Nabil Nayal and RIXO London.